For many, Mary J. Blige is one of the greatest R&B females ever. Her arrival onto the scene showcased her as a relatable around the way girl who could kick it with the fellas while singing the plight of the ladies. Today, as DAR R&B week flows on, we talk her first two albums and compare them. Let's get right into it. I can't choose between these albums. They're classics for a reason. There's that beautiful mix between emotionally vulnerable and party-friendly Mary. Additionally, the Roy Ayers sample on My Life is just perfection Thankfully, there's no super happy Mary, because musically? Happy Mary is kind of eh for me. It's like Adele on 25 (sorry, not a big fan of the album. Sue me): sonically great but just...boring. And boring in music is worse than having bad music. 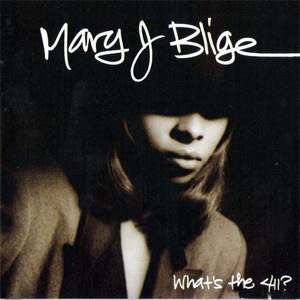 Anyhow, 411 and My Life are classic albums which showcase Mary J. Blige at her best, sonically, subject-wise, and so on. If you haven't heard them, for shame. Stop listening to whatever drivel you're blaring and, excuse my old fart-like attitude, listen to some real music. Mary J. Blige does indeed reign as the “Queen of Hip Hop Soul” in my eyes. On “What’s the 411?”, she partners with Sean “Puffy” Combs to grace the world with unforgettable beats and melodies. No matter where you are or what you’re doing, you have to stop when you hear “Real Love.” Mary grabbed the 90s sound and put it on a track. She combined hip hop with lyrics you’d expect on a ballad. Then she comes back with her own cover of Rufus and Chaka Khan’s “Sweet Thing.” I can remember being younger and enjoying the tune of “Love No Limit” but the older I got, the more I appreciate the song in its totality. What Mary does with her voice on this album is simply amazing to me. Her second album was just as delicious to the culture. Mary was also romantically involved with K-Ci from the male R&B group Jodeci. 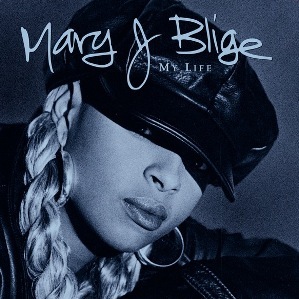 I got a somber vibe from “My Life” and it quite possibly reflected Mary’s personal life. Again, she did her own rendition of an older song – this time Rose Royce’s “I’m Going Down” and it was an instant hit. One of my favorites from her sophomore album is definitely “Be Happy” simply because of the message she conveys. “What’s the 411?” and “My Life” are 90s R&B royalty. Between the two albums, her debut takes the cake. Not only does it have ride from beginning to end, but I also have an emotional attachment to it. Real music does that. If Mary did nothing else for R&B, I’m glad she put out that classic. Mary J is easily one of my favorite R&B singers because as a fan I can always expect her to do what she does best, which is pour her heart out and do it with such ease. Mary's catalog is solid and I love each and every one of her albums. Between "What's the 411?" and "My life" I would have to say "411" takes it. This wasn't difficult for me because it's the clear victor. It was one of the first albums to bring a Hip-Hop edge to R&B, she featured Busta Rhymes, and in 1992, I don't know any other R&B artist who was doing that. For this reason it was highly impactful on the genre and set Mary J above others. "411" also has some solid classic tracks like "Real love" and "Sweet Thing", which will forever be regarded as all time bests. I also appreciate the rawness on this album from track to track, it does what an excellent R&B album should do, pulls on your heartstrings and gets you all sappy and in your feelings. I'll be honest, I'm not the biggest fan of Mary J. In fact, I haven't heard an album of hers in some years. However, during her heyday, in the 90s, I definitely enjoyed the work she put in. With her first album, she would end up putting out my favorite song of hers, "You Remind Me". The song is a complete classic and the groove is once again infectious. However, My Life to me is a bit more of a solid album. I think when comparing the two, My Life seems to be a bit more concise than What's The 411. With that being said, on a personal level, the music means more to me on What's The 411. "Real Love" and the intro on the song is still timeless and the song is perfection. There isn't a song I would skip on What's The 411, and it's truly one of the best R&B albums of the 90s, so while My Life is perhaps a bit more cohesive and concise, I vibe more with What's The 411. I'm taking that one as my pick. What is your pick? Post it in the comments below and join the convo.